Make this dreamy & creamy Pressure Cooker Mac and Cheese. Imagine a spoonful of tender macaroni immersed in a smooth, gooey, & rich cheddar cheese sauce. If you’ve never tried a classic Macaroni and Cheese made from scratch, you’re seriously missing out. Save the blue box for emergencies and make this dreamy Pressure Cooker Mac and Cheese. Say YES to this kid-friendly classic comfort food! I know this is a lot of cheese – just treat it as a mini workout. Add the elbow macaroni, water, kosher salt in the pressure cooker. *Note: Have a towel handy – there’s a slight chance that a tiny amount of foam will come out with the steam. In a medium mixing bowl, beat the eggs and mix in the ground mustard, Sriracha, and evaporated milk. Mix well. *Note: Take this step while the macaroni is pressure cooking. 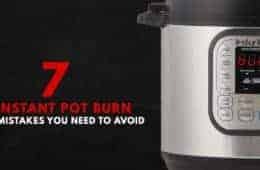 Keep heat on low or medium low (Tatung Pressure Cooker or Instant Pot: use Keep Warm function). Give it a quick stir and see if there is excessive liquid in the pot. Drain if necessary. Place unsalted butter in the pressure cooked macaroni. Mix well with a Silicone Spatula and let the butter melt. Pour in the wet ingredients and mix well. Add grated cheese (1/3 portion at a time) and stir constantly until the cheese fully melt. *Note: If the Mac and Cheese is too runny, turn the heat to medium to reduce it down. 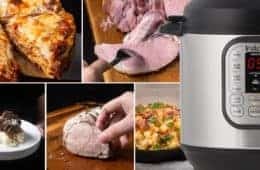 Tatung Pressure Cooker: Click cancel and click on meat. You will likely need a couple pinches of kosher salt to brighten the dish. For best tasting experience, eat immediately! Or the smooth & creamy cheese will cool and harden as it sits in room temperature. 1. How to Avoid Graininess in Macaroni and Cheese? Freshly Grated Cheese: Use freshly grated cheese instead of pre-shredded cheese. Yes, it’ll be more work – but it’ll be worth it 🙂 Pre-shredded cheese contains cellulose powder that doesn’t break down nor allows smooth melting. American Cheese: Replace mild cheddar with American cheese. American cheese acts as an emulsifier to ensure a smooth finish. 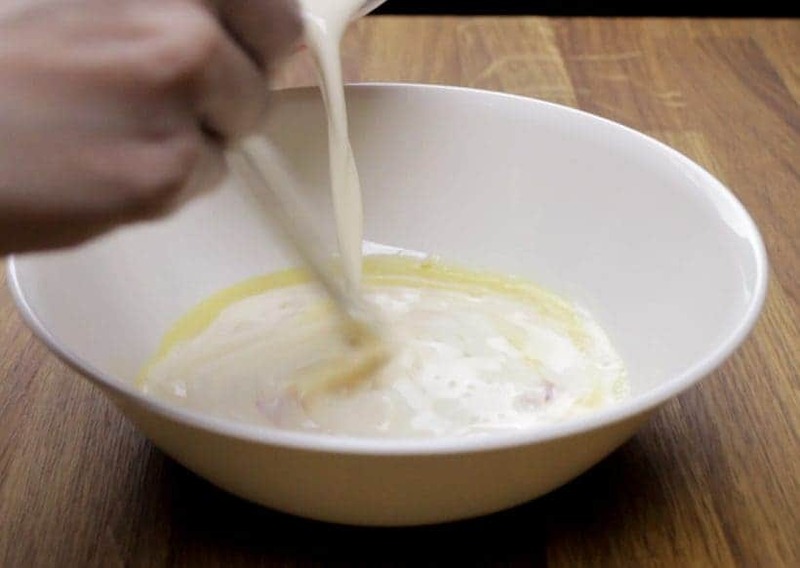 Low Heat: Use low heat to melt the cheese, as high temperature may cause lumps in the cheese sauce. 2. Is the Mac and Cheese Spicy? Don’t worry! 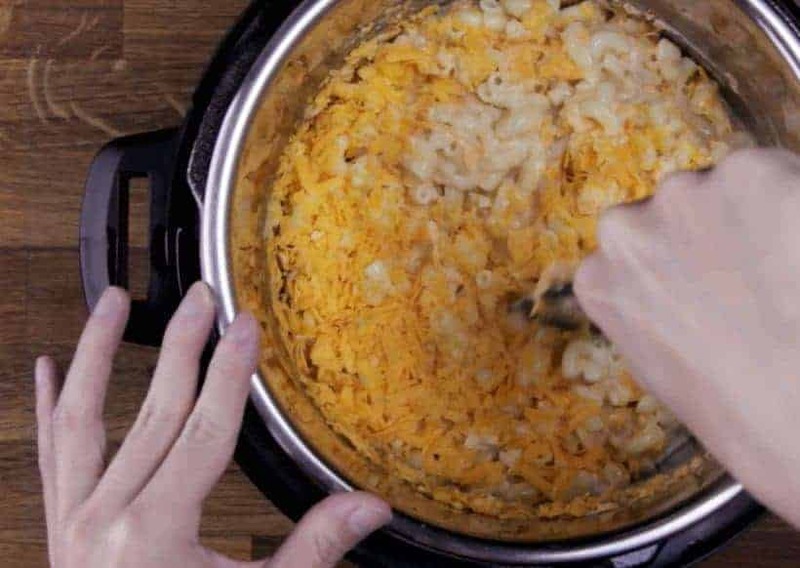 🙂 This Dreamy Instant Pot Mac and Cheese Recipe has been loved by many kids and it’s not spicy at all! The Sriracha serves to balance the overall flavor of the dish. 3. Which Hot Sauce to Use? 4. How to Reheat Leftover Pressure Cooker Mac and Cheese? Place macaroni and cheese in a cold pan, pour in some milk and reheat over low heat. Stir constantly with a silicone spatula. Then, enjoy the yumminess all over again! 5. Is it Hot Enough to Cook the Eggs? Make this dreamy & creamy Pressure Cooker Mac and Cheese Recipe: tender macaroni in smooth, rich cheddar cheese sauce. Kid-friendly one pot meal in 35 mins! Pressure Cook the Elbow Macaroni: Add 1 lb elbow macaroni, 4 cups water, and a pinch of kosher salt in pressure cooker. Close the lid and pressure cook at High Pressure for 4 minutes. Then, gradual quick release. There is a slight chance that a tiny amount of foam will come out with the steam. Have a towel handy. Open lid. Mix Wet Ingredients: While the macaroni is pressure cooking, in a medium mixing bowl, beat 2 large eggs and mix in 1 tsp ground mustard, 1 tsp Sriracha, and 12 ounces evaporated milk. Mix well. 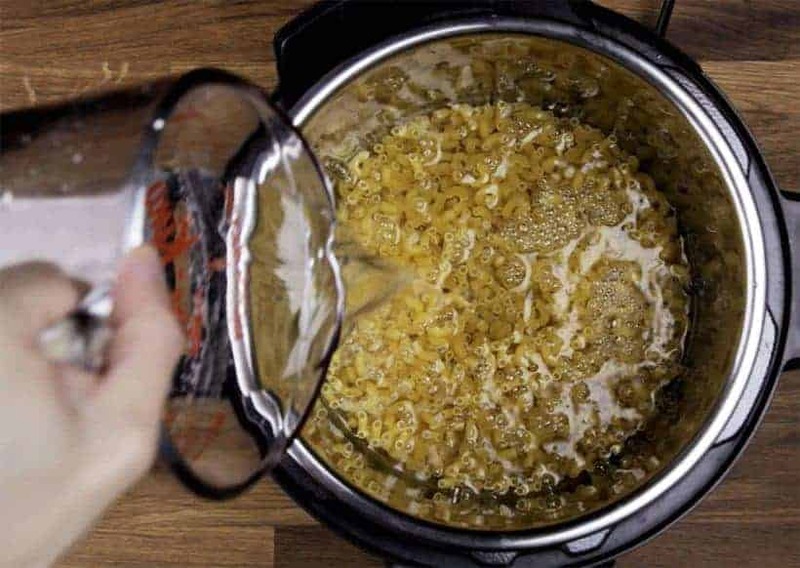 Make the Mac & Cheese: Keep heat on low or medium low (Tatung Pressure Cooker or Instant Pot: use keep warm function). Give it a quick stir and see if there is excessive liquid in the pot. Drain if necessary. Place 4 tbsp unsalted butter in the pressure cooked macaroni. Mix well with a silicone spatula and let the butter melt. Pour in the wet ingredients and mix well. Add grated cheese (1/3 portion at a time) and stir constantly until the cheese fully melt. If the mac and cheese is too runny, turn the heat to medium (Tatung Pressure Cooker: Click cancel and click on meat. 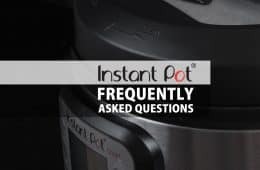 Instant Pot: Use Sauté Less function - Click cancel, Sauté and Adjust button twice) to reduce it down. Taste & Season: Taste and season with kosher salt and ground black pepper (likely need a couple pinches of kosher salt to brighten the dish). 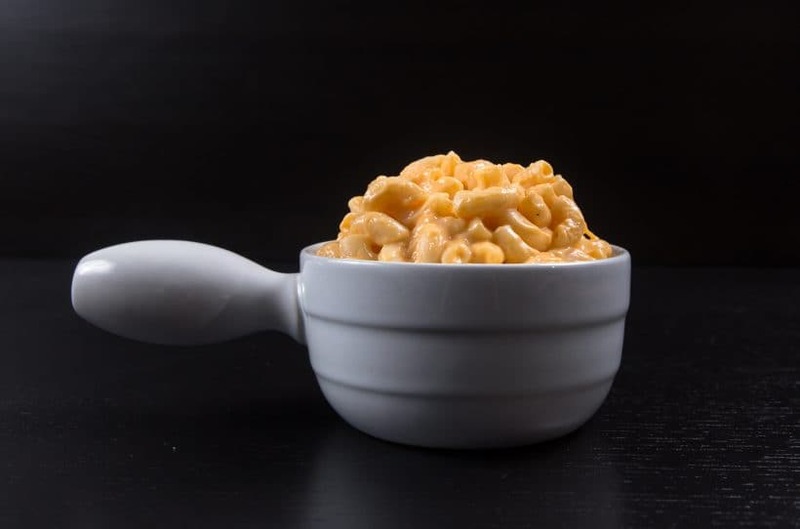 Serve: Mac and Cheese needs to be served piping hot, so serve immediately! 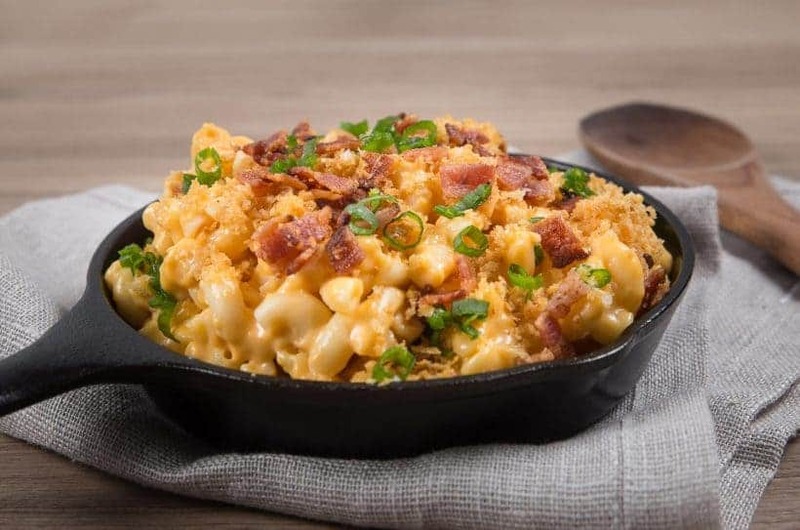 This recipe is inspired by the Macaroni and Cheese Recipe from the cookbook – The Food Lab: Better Home Cooking Through Science by J. KENJI LÓPEZ-ALT. His work & dedication to food truly inspires us. Upgrade your Pressure Cooker Mac and Cheese with this Loaded Instant Pot Mac and Cheese! This was a fantastic recipe! If I wanted to make a half batch, what would change in the recipe. No change is needed to the cooking time. You will just want to cut all the ingredients by half. My son and his friends think this recipe is terrific – minus the mustard powder and hot sauce. It has plenty of flavor if you want to omit those ingredients! Can you determine how you could make this recipe (or any recipe) with gluten free brown rice pasta (we tend to use Trader Joe’s Pasta). It would be a huge blessing to our Celiac family! Thank you for your question. Some of our readers have made this recipe with gluten free pasta. Tried this recipe tonight and it was terrific. I used some spicy English cheddar and some sharp white cheddar but no processed cheese. Yum! Thank you so much for your carefully thought out recipes. I have tried several and they are all winners. I can’t print the recipe, any suggestions? You can still make it without an egg. It will just be less creamy. Hi – is it okay to leave out the ground mustard? I don’t have it since I don’t use this ingredient much in recipes. also, if it becomes runny after adding the wet ingredients and cheese (as I see in the video) how long should would it take to reduce if we do Sauté Less? I’m mindful of it overcooking and drying out. It is fine to leave out the ground mustard. The flavor profile will change slightly. It doesn’t take long as the starch released from the pasta will thicken the sauce very quickly. 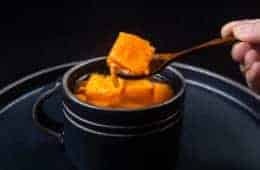 I realize this is a site for pressure cooker recipes but since the only real cooking part of this recipe is the macaroni, I’m wondering if I could make this exact recipe on the stove top? I’m planning to make it at a rental house and would prefer not to drag my IP along just to cook noodles. Yes, this recipe will also work on the stovetop as well. We try to include both systems as best as we can! Question before I make this. How is it possible that this does not come out not all starchy without cooking pasta first? Reason I’m asking is in the past I made a spaghetti with sauce and it came out TERRIBLE and tasted like starch. I had to through it out and had to get a pizza. Trying not to repeat again. Thanks for the help. Since the water will not boil rapidly at pressure, the pasta will have minimum movement and the starch will not get released. You were so right about the sriracha sauce! I was a little nervous about adding it, but it really added a nice touch. I was a little nervous about the eggs too, never having used them in mac n cheese before. But they did just as you said they would and I like that they add a little protein. I appreciate your explanation about the eggs in the comments and will check the temp next time to ease my mind. My one question is about the IP: Per your suggestion, I wanted to turn it up to medium to cook the sauce down a little but I can’t figure out how to do that. I have a DUO80 and used the ‘keep warm’ feature. That didn’t seem to get it very warm, so I used saute for a bit while stirring constantly. How do you increase the ‘keep warm’ temperature to medium? The Keep Warm temperature will only operate in a constant temperature so the only option is to use the Saute Less function to reduce the sauce a little. I couldn’t find siracha sauce in our store, only siracha taco sauce which I don’t think is the same. Should I try that or leave it out? Thank you for another great recipe. I appreciate the extra protein from the eggs. No problem halving recipe for the two of us. I added frozen spinach. I forgot the butter and know that will make it much better. My favorite IP recipe is your penne frigate dish. In that recipe you explain how to cook zucchini al dente and that’s how I cook almost all of my instant pot vegetables. I was also nervous about the Siracha sauce. This is without a doubt the BEST Mac and Cheese I have ever had. Thank you so much for your wonderful site and for answering questions when we have them. You are the best!!! Hi Werra, thank you so much for reporting back! I want to try this recipe this week. Would Heavy Cream or Half and Half work? Or does it have to be the evaporated milk. Nervous using the Siracha sauce but every one of your recipes is 5 Stars and I trust you. Heavy cream and half & half will work, but it will not be as smooth as evaporated milk (not condensed milk). I made this last night. It turned out pastey and grainy. Any idea what I did wrong? Followed the recipe to the letter! How to Avoid Graininess in Macaroni and Cheese? How do you do a Gradual Quick Release? To do a gradual quick release, turn the venting knob from the sealing position toward the venting position until a little steam is releasing. Keep it mostly in that position until released. Is American cheese the same thing as Velveeta? 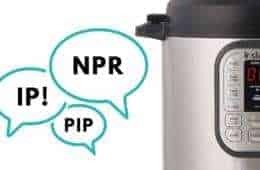 I only have an Instant Pot Mini Duo, which I believe is 3 quarts. Would I cut everything in half? And what about the cooking times? Thank you. Reducing the whole recipe by 25% should be fine. The cooking time will be the same! The best Mac n cheese! The sriracha was a surprising ingredient, but added great flavor. I didn’t have enough sharp cheddar on hand, so I substituted with additional American cheese. Turned out creamy and flavorful. Thanks for the recipe! thank you for your honest feedback. The cheesy sharpness comes from the sharp cheddar cheese. Is the one you used extra sharp by chance? With the same cheese, I would use more mild cheddar and less of sharp cheddar next time. If it still doesn’t work, I would recommend trying this loaded version. The additional ingredients really balance and enhance the flavor profile. This is great but I think I used too little pasta. Can you please put the number of cups of dry pasta for 16 oz. It might be 4 1/2, not 2. Since some of our readers use different types (& sizes) of pasta for this recipe, cup measurement will not be as accurate. Using the weight measurement is probably the most accurate way and 1 package of macaroni is usually 16oz. Happy New Year & Have a great weekend!! Could a dash of Worcestershire be used instead of sriracha to accomplish the same thing?? A dash of Worcestershire will add another layer of flavoring, but it will be different from Sriracha. Do you have any nutritional information for the mac and cheese meal? thank you for your question. This is using the old recipe format so we don’t have the nutritional information available for this recipe. I’m new to the Instant Pot club and stumbled upon your mac n cheese recipe. I have tried making mac n cheese several times, but it never quite tasted right and it was always too grainy a texture for my husband. This recipe however, hit the mark. Delicious, great texture, easy to make. Love it! I added some chopped smoked sausage for a little something extra. Next time I might change the flavor profile up and try smoked cheddar in place of the mild. Can’t wait to check out your other pressure cooker recipes. Glad to have you on our site! I am thinking you may also like this loaded mac & cheese recipe. Can’t wait to try this. I’m wondering if you can use whole wheat elbow macaroni? Would you just increase the cooking time? And personally, you can never have too much cheese. Thanks for all the great recipes! I just got the instantpot today (borrowing it from sister-in-law). I was wanting to make this recipe, can you use regular milk instead of the evaporated milk? Regular milk will work, but it will be more runny and less smooth. HI! So I made this for the first time today. I used organic evaporated milk and tillamook cheese already shredded. It had the oddest taste with each bite and slowly tasted fine, like cheese, wondering if it because I used organic ev milk over the regular because I have used tillamook cheese more than I care to admit and never had that taste before. Thank you! My best guess is the cheese or the evaporated milk. Try tasting them individually and see if anything is off. Why evaporated milk? I wish I was using my head while making this. After I added the evaporated milk, it destroyed the dish. WAY too sweet and absolutely not necessary. My 9 year old wouldn’t touch it because it tasted too sweet even for him. I suggest leaving the evaporated milk entirely and replace it with heavy cream or something to that effect. You probably used condensed milk instead of evaporated milk. Evaporated milk is just concentrated milk by evaporating some of the water content. Condensed milk on the other hand is sweeten with about 45% sugar. I’ll be making this today for for the first time. My question is, can I freeze extras? Will it thaw and reheat and still be a good, creamy consistency? Yes, freezing the extra in separated portions work best. How to Reheat Leftover Pressure Cooker Mac and Cheese? Can you please try it with gluten free noodles at some point since they cook different haha I tried this the other night and the amount of goop that came out of the venter holes was a lot. It looked like my IP sneezed on itself, my counter and my garbage can haha. It was more work to clean that mess up than grate the cheese! I’ve been looking and printing other recipes to try 🙂 It did taste good though! You can avoid the spilling by using the Gradual Quick Release method. Turn the venting knob slowly toward the venting position and stop & hold that position once you hear hissing (from steam escaping). Some of our readers have used GF noodles successfully by reducing a minute of cooking time. Can this recipe be cut in half? We have a smaller family and Mac n cheese always tastes best fresh instead of reheated. 8 oz noodles with 2 cups of water at 4 min still? Any suggestions on an egg replacement? I have a munchkin allergic to eggs. Thanks! The egg helps the cheese sauce to bind & stick onto the pasta better so you can actually skip it! Made this tonight! Did not use any eggs due to an allergy, substituted evaporated milk with coconut milk and used plain English mustard. Delishious! Will have to try coconut milk next time! Thank you for the idea. This mac and cheese was delicious my grandson loved it! Thank you so much for your kind words Brenda!! I have a kids party coming up. 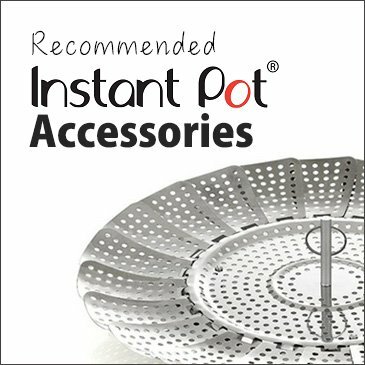 Would I be able to double the recipe using an 8 qt instant pot? This would be one less thing to prep. How much more time would I add to the cook time? I always want to double your recipes now that I have the 8 qt but I know macaroni splatters from past experience. I would recommend trying 1.75x the recipe first. Since the get up to pressure time will increase, you will probably have to reduce the cooking time by 1 minute to avoid overcooking the pasta. Make sure to release the pressure gradually by not turning the venting knob all the way to the venting position. Hi! This is an add on to Lily Ha’s question. When you double the pasta, do you also double the water? Also, I’m using shells instead of elbow macaroni because of the party theme. Do I cook it for the same amount of time? ? I also have an 8 qt IP. I was also thinking, as another option to avoid the possibility of overflowing, to cook one pound of pasta at a time then putting it together to finish cooking it with the cheese. Thoughts? Thanks! By the way, I’ve made your Baby Back Ribs recipe several times now and it’s been a hit with everyone who has eaten it. ? For shell pasta, you can look at the back of the pasta package. It should have a recommend time such as 10 – 12 minutes. Take the lesser time divide that by 2 and minus 1. For example: 10 minutes /2 – 1 = 4 minutes. Thank you so much for your kind words Daniel :)!! Mine was so watery. I’m not sure what I did wrong. Using the instant pot. Sorry to hear that. If there were too much water after pressure cooking, you can drain the water off before adding the other ingredients. It usually happens when the water and pasta ratio is off as the pasta should absorb almost all of the water after pressure cooking. 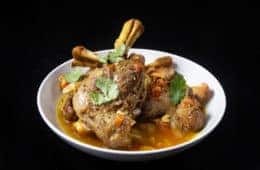 Can this recipe be doubled in the instant pot or would it be too full? thank you for your question. It would be too full for a 6 quart Instant Pot. From our tips post: For Food that Expands During Cooking (i.e. grains, beans, and dried vegetables): Do not fill the unit over 1/2 full. thank you for your suggestions and comment. This was so good and I’m not a huge Mac n cheese fan. Have fun cooking & See you around! Thank you for responding so quickly to my question…I do have a follow up question to clarify. ? When you say to brown some beef before adding the Mac n Cheese, do you mean browning the meat in the IP and cooking it with the pasta (such as in your beef bolognese dish) and then continue with the steps of adding the wet ingredients once it’s done cooking? 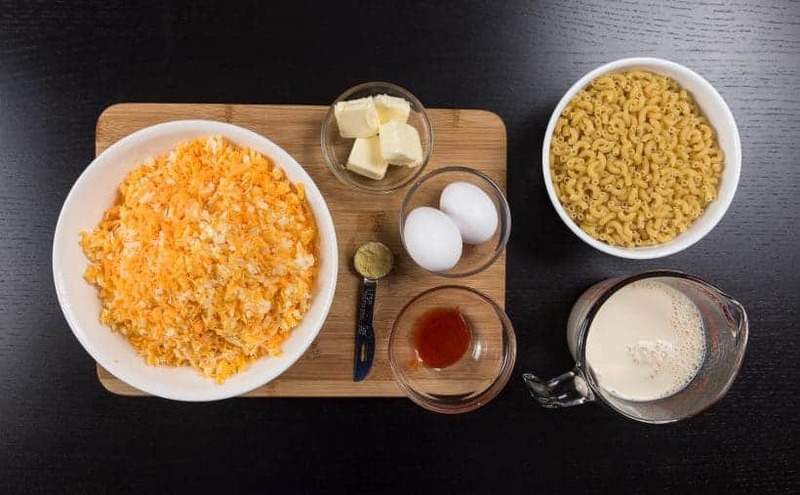 I love the idea of your cheesy, gooey Mac and Cheese, but want to make it a more complete meal for my kids…so sorry for changing your recipe!! ? Thank you so much!! thank you for reply. Hehe no need to apologize. It’s good to change recipes! The pasta will taste beefy and cheesy. I will add Mac & Beef to our long list of to-make list! I’ve tried so many of your recipes already and have loved every single one of them so far! 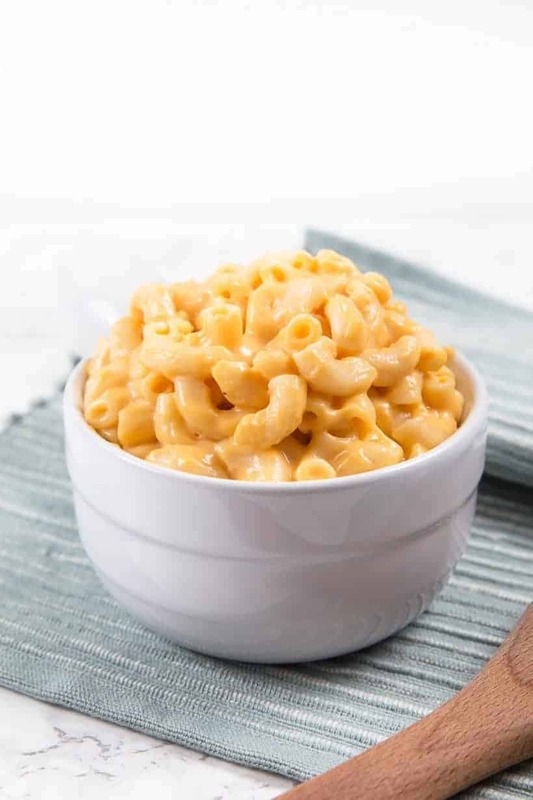 I’m looking forward to trying this mac n cheese recipe since my kids love it so much, but I want to know if its possible to incorporate some meat into this recipe, making it a meaty mac n cheese? This recipe looks sooooo good…I just got my Instant Pot on Monday and am looking for things to try making in it…the only thing that concerns me is the sriracha as I am extremely sensitive to spicy foods…should I be concerned? For those worried about the eggs, you can buy pasteurized eggs. I replace some of the cheddar w/ Monterrey Jack (we like the one w/jalapeños) because it melts well & is creamier than cheddar. The star reviews isn’t working properly – it will only let me do 3 max. thank you for your comment and review :)! I just got my Instant Pot, and this was the first recipe I made in it. It came out great, and the leftovers heat up well in the microwave (on a mid-level power setting) without separating. Thanks! Was not ready to send my reply, tried to give it a five star but it would not let me! I somehow got it posted, don’t know what happened! Anyway, it is a five star recipe! Thanks for your quick reply, I made it, (half a recipe) and it was great!! Sorry to sound stupid, getting ready to make this for evening meal, how do you do a gradual quick release? Slowly turn the venting knob from the sealing position toward the venting position until a little steam starts coming out. Hold it at that position until most of the steam has released. Make sure to wear an oven mitt if you are doing it by hand. Dumb question: is American cheese velvetta?? great question. Yes, Velvetta is a type of American cheese. Hello! I’m new at using the Instant Pot and have been trying a number of your delicious recipes. Would this recipe work if I used homogenized milk instead of evaporated milk? Unfortunately, this recipe will only work with evaporated milk or else it will not be as smooth. The recipe doesn’t say to drain The macaroni, is that a given, or do you add the wet ingredients to the noodles AND the water they cooked in? You do not have to drain the macaroni as most of the water have already been absorbed by the pasta if measurement is accurate. I want to make this for my children but I am hesitant to add the sriracha. Does the spiciness really come through in the finished dish? Great tip! I have not done a side by side comparison, but adding a teaspoon of oil will properly break the bubbles on the surface layer. Merry Christmas & Have fun cooking! In my Instant Pot User Manual it states at the very beginning in the Important Safeguards section to not cook certain foods in the pot because they can foam, froth, or sputter and clog the pressure release device. Macaroni is one of those foods among applesauce, cranberries, pearl barley, oatmeal (and other cereals), split peas, noodles, rhubarb, and spaghetti. The manual is written in a way to protect the company. We have emailed Instant Pot about macaroni, applesauce and cranberries sauce while developing our recipes and they gave us an okay. Thank you! So good to know because I see a lot of yummy recipes for things they say not to cook in it and I’m new to the pressure cookers thing. Glad to know it’s safe after all. The addition of raw eggs at the end makes me nervous. My husband is always worried I will not cook his scrambled eggs enough. How do the eggs affect this dish? What benefits do they have? How can you be sure they are completely cooked after simply stirring in the remaining ingredients warm? thank you for such a great question. The egg acts as an emulsifier and help the sauce to cling onto the noodles. Egg pasteurization starts at 140°F and keeping them at that temperature for three and a half minutes will kill any bacteria. Yes, Mac and cheese are very quick on the stovetop as well, but we should also count the time it takes to boil the water for the pasta! Yikes this looks extra creamy, and I love that hit of sriracha in there! Looks so creamy and cheesy! One of my favorite comfort foods. I do love macaroni cheese! Never thought to use pressure cooker, good tips! Love this recipe rich in flavors and looks tasty. Creamy and great pasta recipe. Thanks Sabrina for your kind words!